With classic beauty and timeless style, this gorgeous pendant necklace features 1.0 carats (ctw) of glittering red garnet, known for being the January birthstone. 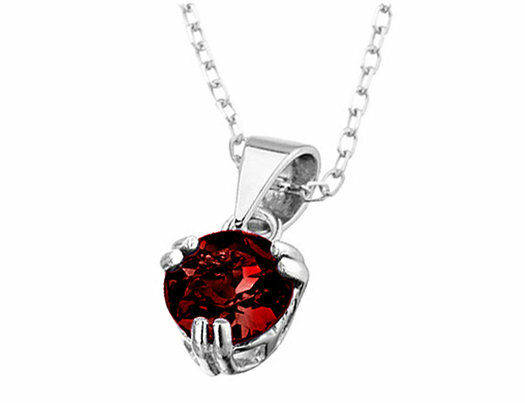 The polished sterling silver setting enhances the color and sparkle of the majestic gem. Measuring 0.5 inches in length, this pendant hangs gracefully from a matching 18 inch chain.